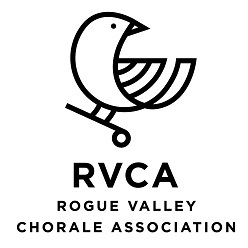 Since 1973, the Rogue Valley Chorale Association’s five choruses have celebrated the joy of singing in Southern Oregon. The organization offers a pathway for life-long singing by providing its members, age 8 to over 80, with opportunities to perform an exciting repertoire of choral music. Although the Chorale has performed in Europe and in Carnegie Hall, it calls the Craterian Stage [541.779-3000 /craterian.org] its home. Under the leadership of Artistic Director Laurie Anne Hunter, RVCA offers a concert series that includes classical, contemporary, Broadway, spirituals, folk music and new compositions. December 3rd and 4th 2016: Glory Hallelujah to the Newborn King! A holiday celebration sponsored by Jim Collier. Join the Chorale for this raise-the-rafters Gospel concert. All five RVCA choruses come together to present a concert celebrating the joy of life-long singing. You’ll hear favorite songs as we explore gems from the early days of Broadway. For details about the RVCA Youth Choruses Concerts, visit our website. Do you want to sing? For youth or adult audition information, contact us!